The ControlPRO SWI-CP2 retains the built-in steering wheel controls in vehicles when replacing the factory radio with an aftermarket radio. 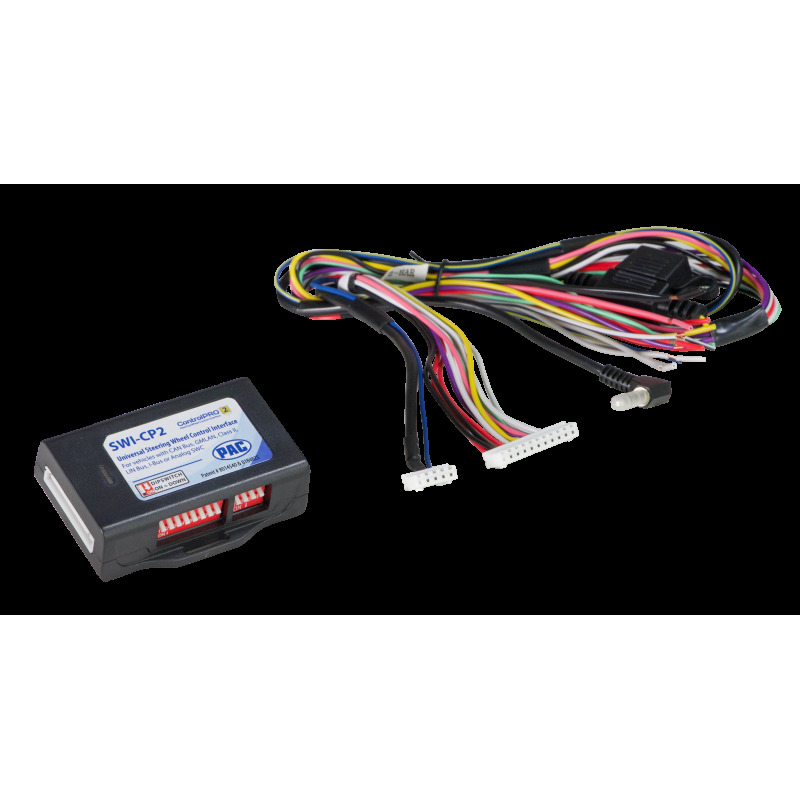 It is compatible with today’s most popular vehicles, even with more complex electronic systems including CAN bus, GMLAN, and Class II systems. The simple to use module can be configured in multiple ways, via DIP switches, direct from a USB connected PC, or a button learning procedure. Wiring and vehicle configuration switch settings are provided through the ControlPRO Web-APP and Mobile APPs for Android and iOS devices. The SWI-CP2 is designed to minimize installation time, much faster than any other products available in the market today.